The Hispanic/Latino Collection was established, in part, as a result of Documentary Heritage Program grants received from the New York State Archives in 2003 and 2005. 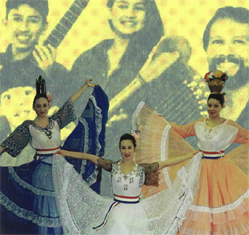 The collection focuses on documenting Hispanic/Latino history and culture on Long Island. Among other things, the collection includes research materials about the racially charged incidents at Farmingville, Circulo de la Hispanidad's lawsuit against the City of Long Beach, and the battle against English-only legislation that was waged by the Coalition for English Plus. Also represented in the collection are a number of dance and music groups. If you are interested in contributing materials to the collection, or if you would like information about housing materials in a historical repository, please fill out our online survey form. The Long Island Studies Institute, a cooperative endeavor of Hofstra University and Nassau County, is a major center for the study of Long Island local and regional history. Located on the lower floor of the Joan & Donald E. Axinn Library, the Institute's research facility includes the Nassau County Museum's reference collection and Hofstra University's James N. MacLean American Legion Memorial collection. These resources – books, photographs, newspapers, maps, census records, genealogies, government documents, manuscripts, and audiovisual materials – constitute a rich repository for local history research. The Institute sponsors meetings, exhibits, conferences, and publications pertaining to Long Island and its heritage. For a complete list of Institute publications and program information, contact the Institute via e-mail or click on Publications. The Long Island Studies Institute collections are available to scholars, teachers, students, and the general public. For information, please contact Prof. Geri Solomon at (516) 463-6407.